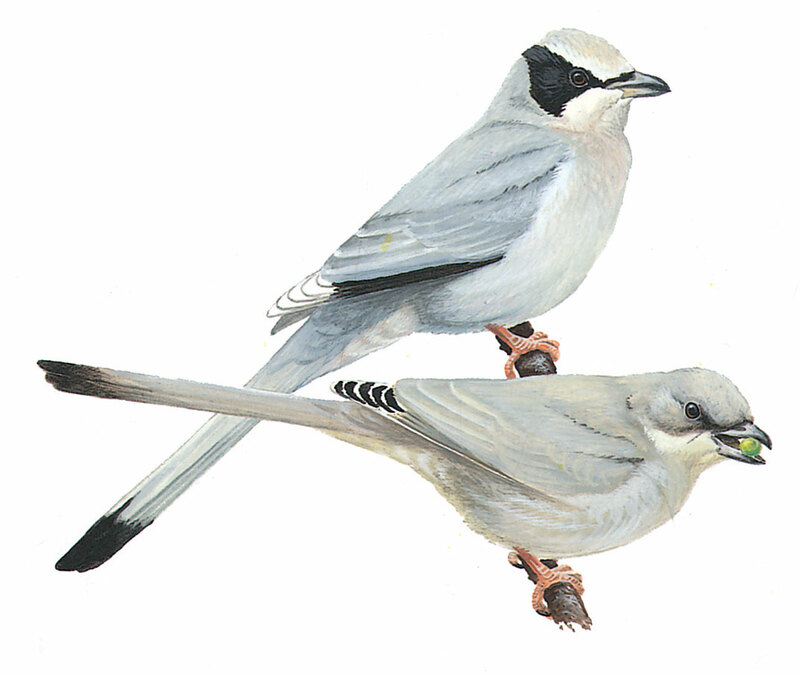 In shape resembles a slim Grey Shrike but with longer tail. Soft blue-grey plumage with black eye-mask joining over nape and black-tipped tail; primaries black (but barely showing so at rest) with pure white tips, prominent in flight. Female and immature rather featureless creamy brown (but with well demarcated creamy throat), lacking black on head and with only diffused dark tip to tail. Often in small groups and can be very tame. Will fly high, often for a distance, and parties will circle round for several minutes; in flight note long tail, short wings and rather rapid wing-beats.